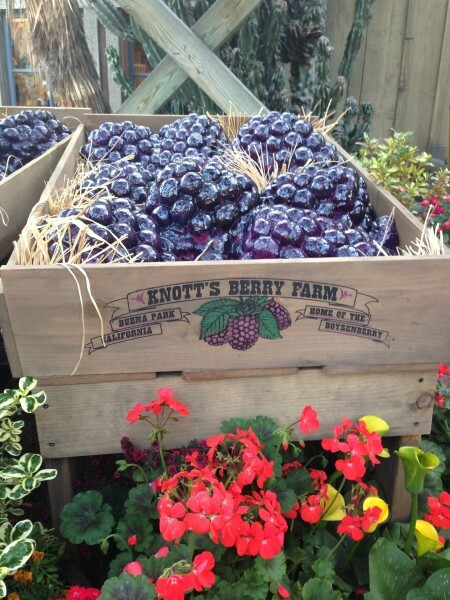 It’s spring, which means it’s time to celebrate all things boysenberry at Knott’s Berry Farm during the Knott’s Berry Bloom event, now through April 27. If you’re not familiar with boysenberries, you need to hunt down some boysenberry products right now. These berries are a cross between raspberries, blackberries, and loganberries and they’re known for being large, sweet, and delicious, with just the perfect amount of tart. OK, boysenberries are not quite this large in real life, but you get the idea. A little history: Boysenberries were first created in Northern California by grower Rudolph Boysen in the early 1920s, but he abandoned the project. Then USDA horticulturalist George Darrow worked with farmer (and berry expert) Walter Knott of Buena Park to track them down. Knott grew them successfully in Southern California and became the first person to market boysenberries commercially. Today, most commercially grown boysenberries are made into sauces or syrups, but you may find fresh boysenberries at local or independent farms. As the unofficial home of boysenberries, Knott’s Berry Farm celebrates this delicious berry every spring with a series of spring-themed events for the family and tastings of an array of imaginative boysenberry dishes. 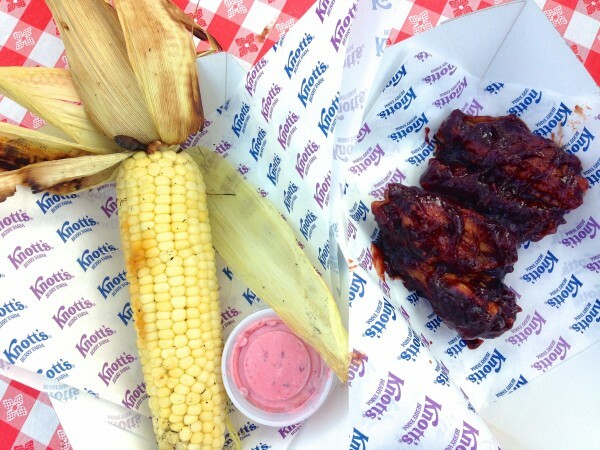 On our recent visit to the Berry Bloom event, we had a chance to taste (and learn about) all things boysenberry, including wings, turkey legs, and flank steak glazed with boysenberry barbecue sauce; grilled corn with boysenberry butter; fried boysenberry ice cream; waffle sticks with boysenberry sauce; and deep-fried alligator (!) 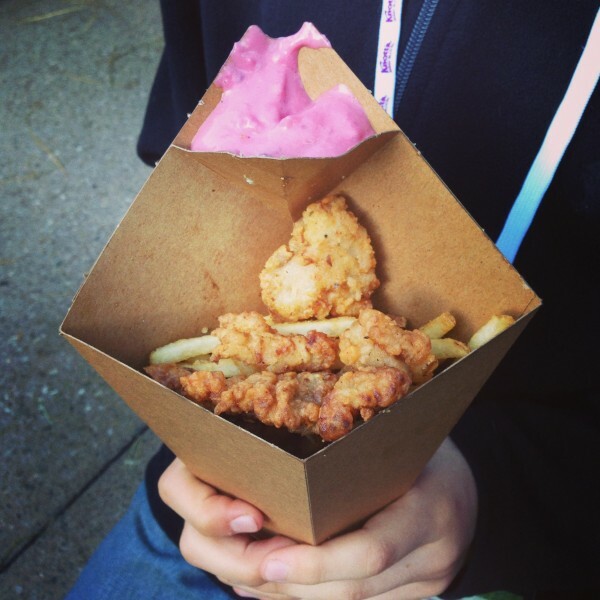 with boysenberry aioli (which, amazingly, the kids gobbled up). 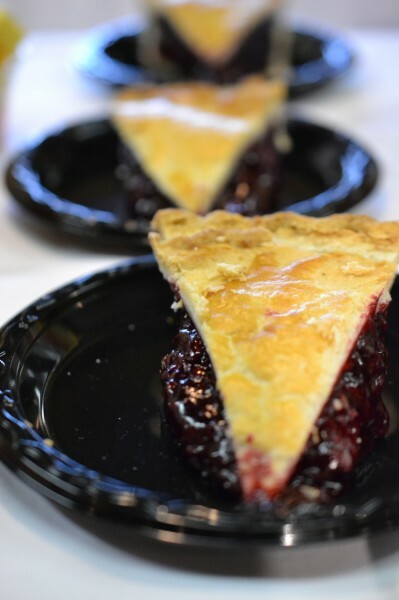 After we had eaten our fill of just about everything boysenberry, we enjoyed a dessert buffet with more boysenberry treats, and we realized one thing: Nothing will ever compete with our love of Mrs. Knott’s good, old-fashioned boysenberry pie. Knott’s Berry Farm, 8039 Beach Blvd., Buena Park, CA. Tickets and more information at www.knotts.com. I havne’t had boysenberries in years!!! 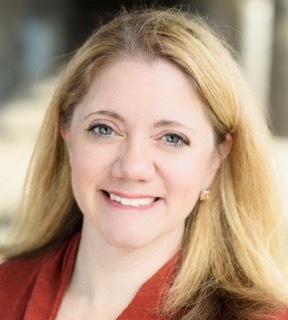 As a matter of fact… I don’t think my kids have ever had them. You’ve inspired me! I am drooling over your goodies! Boysenberry goodness… oh why did I have to miss this?! !